Several years ago when I was working out at my local Globo-gym, I was stopped in the locker room by someone who asked me what I was training for. The question took me aback, because I was just trying to get in good shape. I didn’t think of myself as trying to get in shape for anything in particular. Last year I was stopped in a shoe store and asked the same thing. “What are you training for?” I had a better answer this time. This is the answer that several months of CrossFit has taught me. We train to be better at life. Whether this means having more energy for my kids or just more energy in general, the purpose of training isn’t looking good or even feeling good so much as increasing our capacity to be of more use to the world. Having said that, I have found that it is valuable to me to have specific goals to work towards, competition events, challenges. When I don’t have these, it too often feels like I am training to get better at training, rather than using my training to push myself past previous limits. The first challenge like this was hiking the Incan Trail. Knowing that the altitude would demand a lot of me, I realized that I needed to become better and stronger than I was at the time I signed up for the challenge. So I trained. Since I returned, I’ve been looking for something comparable to motivate and shape my training. I considered the ten mile Soldier Field race, but it didn’t fit my schedule. Then I began to think of a triathlon, but it required me to buy a bike and probably to get a swim instructor as well to improve my stroke. I still may do this in the future, but I wanted to find something that fit my current training regimen. And so this is what I’ve settled on: the Tough Mudder Challenge in Wisconsin. Developed by British Special Forces, it is a ten mile course with 20 military grade obstacles. Some of the obstacles are truly epic. 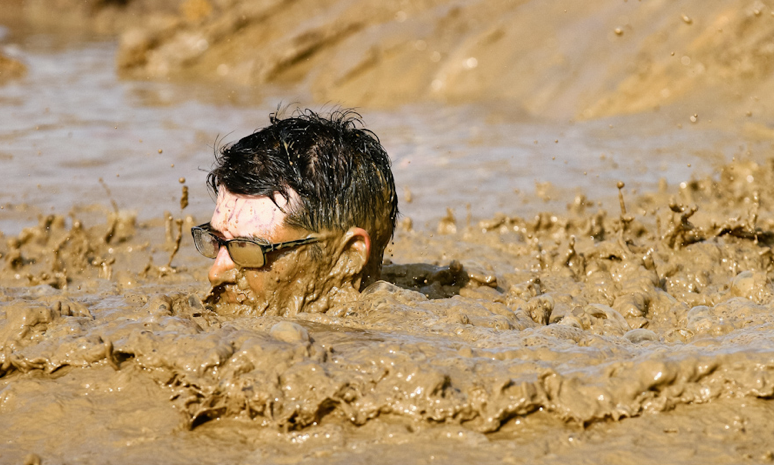 * I understand that Tough Mudder is not a race but a challenge. * I put teamwork and camaraderie before my course time. * I do not whine – kids whine. 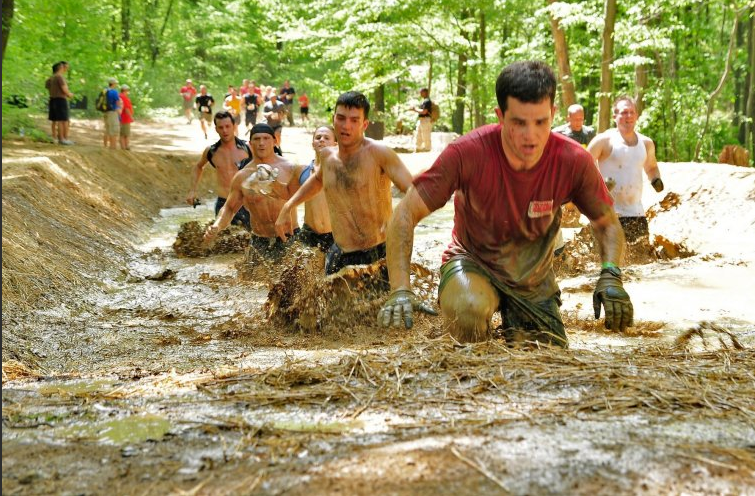 * I help my fellow Mudders complete the course. * I overcome all fears. Teamwork before individual accomplishment. Overcoming fears (and some of the obstacles are scary). No whining. Great training for life, isn’t it? This entry was posted in Church of CrossFit, Fitness, Tough Mudder by Justin. Bookmark the permalink. I took part in Tough Mudder in the UK Saturday just gone, a little apprehensive but myself and my team completed it and the feeling of euphoria were epic. Still smiling now thinking about it.